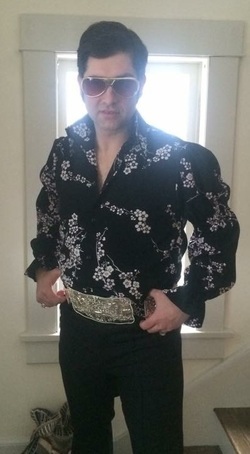 Get back to the roots of Rock & Roll with a Tribute to Elvis recreated by Arik McKown. For over 20 years he’s been keeping “The King’s” legend alive with his dynamic performances. And did you know, right here in Bainbridge, Elvis has NOT left the building? He’s our Town Clerk! Steve Eisenberg plays the Flute, Bodhran, Harmonica, Whistle & Vocals. He performs regularly in Bainbridge and the region to raise funds and awareness for the Bainbridge Soup Kitchen. He creates variety of sounds from Country, to Celtic, show tunes, old rock and Roll, a touch of Jazz, Blues & more. Steve’s occasional guests/Friends/Musicians: Bill Senachal, Guitar, Banjo, Vocals. Don Gilkinson, Guitar & Vocals. Annie Simpson, Guitar & Vocals. His business, the Village Woodshop creates artful woodworking for discriminating homes. Local Seisiún musicians have been playing Irish music together for about 8 years, socially in informal “sessions,” as well as at places and events like farmers’ markets, art shows, restaurants, and private parties. They enjoy sharing their love of traditional Irish dance music. Darren Steele is a singer/songwriter from Livingston Manor, New York. He played with various cover bands from the late seventies to the late eighties, and became a formidable bassist. In the early nineties Darren began playing guitar and fronting a band called Hard Knoxx. It was with this band that Darren started to focus on lead vocals and honing his songwriting. The band also recorded a demo which led to opening shows for “Zebra” and “Larry Mitchell” who was promoted as the nineties Jimi Hendrix. . Darren is currently recording his first solo album which will include guest appearance's by various artists at "The Batting Cage" and will be released in 2016. In September of 2015 , Darren finished his first ten song album with his band titled "Photograph" at ATS Studio's in Norwich New York. It is a mix of acoustic ballads and alternative songs and had great reviews. 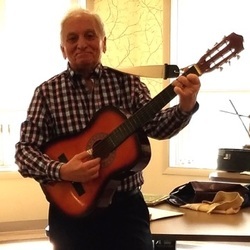 Don Gilkinson, guitarist/singer, has been performing for almost forty years. He is always working to improve his skills, currently studying guitar with the Berklee College of Music. Don's repertoire combines Country, Swing, Blue Grass, Blues and More. This will be his first performance for the Jericho Arts Council. My father enjoyed playing the saxophone and guitar, so with the popularity of the guitar in 1956 I too became interested. My first performance in 1957 was for my high school assembly program. I have continued to entertain, singing and playing the guitar locally for birthdays, anniversaries, community and senior events. I entertain with Old Country, 50’s, vintage classics & favorites ranging from Johnny Cash & Elvis Presley to Perry Como. I've been a local area musician for over 40 years and have performed in bands, duos, and solo, currently performing on a regular basis with "Iron Mountain" as a singer, guitarist, and 5 string banjo picker. I also play with the "Delaware Dulcimores" as their guitar accompanist, including occasional banjo work. My music ranges over a hundred year span from the 1860's to the 1970's including, but not always limited to, the following categories: Folk, Old Timey, Country, Bluegrass, Cowboy, and Rock n' Roll (old, like me).